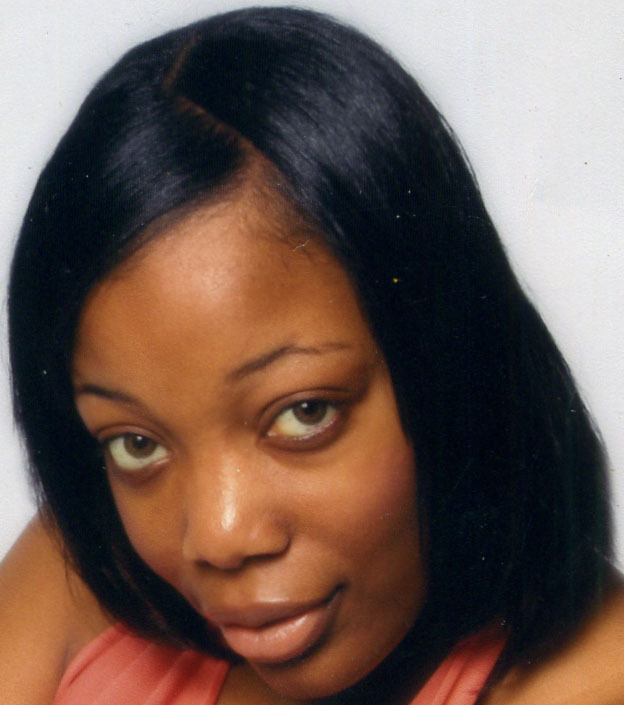 “On Sunday, July 11, 2010, Ms. Sarai Ador Washington passed away at the age of twenty-seven from complications from sickle-cell anemia. It was the battle of Sarai’s life from the moment she was born. Yet Sarai fought that battle with dignity and a sense that her life was worth living. For those of us who knew her, and knew her well, most of the time, Sarai lived as if her disease didn’t exist, or at least, didn’t matter. Even in those first few months after Sarai was born, she was obviously in trouble. She hardly gained any weight, all of her food had to be fortified with iron, and she only had “three strands of hair,” as our mother put it. It was more like a few dozen in three spots on Sarai’s scalp. She always needed help. Sarai was in and out of the hospital, in need of the occasional blood transfusion, and at times in excruciating pain. Between the disease and the hardships what we were going through as a family during the early years of her life, it’s amazing to know that Sarai managed to survive in the worst of those worst times. Despite all of this, Sarai managed to grow up and eventually find herself. She almost immediately gained a love of music, whether it was listening to her mother’s singing of hymnals or her older brother Donald’s horrible rendition of Michael Jackson’s “Man In The Mirror.” She sang in choirs with her brothers Maurice and Yiscoc while growing up. Sarai attended Mount Vernon’s public schools, where she made friends along the way. Though delayed by her bouts with sickle-cell anemia, she eventually graduated from Mount Vernon High School, in 2003. Later that year she spent some in Silver Spring, Maryland helping to care for her nephew, Noah Collins before returning to Mount Vernon. 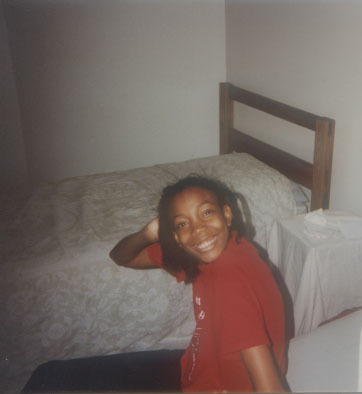 In 2005 Sarai moved to Huntsville, Alabama to live on her own for the first time. In addition to working for Western Corporation as a customer care professional, Sarai found her voice, making a whole new group of friends, touching others lives in the process. Sarai’s wonderful sense of humor and sense of kindness were assets that her friends in New York and Alabama truly appreciated. When her disease became more difficult to manage, Sarai moved back to Mount Vernon in the spring of 2009 to live with our mother. Though her illness had gotten worse, she still had dreams for the future. She was hoping to go back to school to earn a cosmetology license. There isn’t much that I’d change about what I wrote last July, other than the two or three minor grammatical errors that I didn’t catch because I was working on less than five consecutive hours of sleep per night. 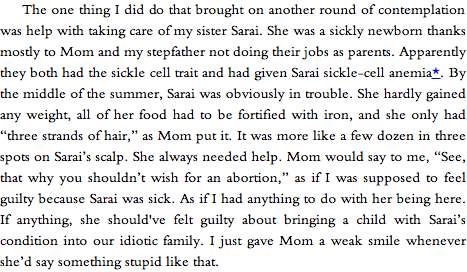 But I do wish that I’d been able to do more for Sarai while she was alive. I think about her almost every day, wishing that she’d stayed with me in Silver Spring long enough to look into Howard University Hospital’s work on sickle cell anemia. Mostly, I think about how I wish the quality of Sarai’s twenty-seven years, four months and two days had been better, that her parents had been better, that my life could’ve somehow made her’s better. It just wasn’t to be.